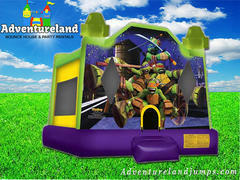 Adventureland Bounce Houses brings the city of Saramento the Teenage Mutant Ninja Turtle bounce house with a basket ball hoop inside. 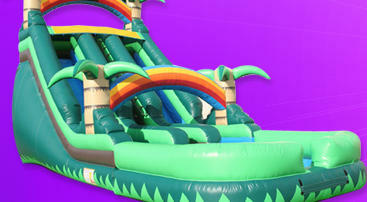 Kids get to jump & shoot hoops in our Nninja Turtle bounce house with Leonardo, Donatello, Michelangelo, and Rafael. 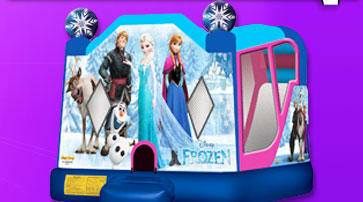 This Ninja Turtle jump house rental offers kids of all ages exciting aerobic activity. This jumper has 360-degree mesh windows, so parents and spectators can have a clear view of all the fun.